If it is true that a life well-lived can be measured by the quality of one's relationships, then Bramwell Logan Gregson (Bram as he preferred to be called) had a remarkable life. Those that had the privilege and pleasure to know him, knew that he was an extraordinary man. From October 6th, when Bram was suddenly diagnosed with Acute Myeloid Leukemia, until the early morning of October 31st, when he took his last breath, he was delighted, yet greatly humbled by the outpouring of accolades, affection, admiration, appreciation and respect shown to him by the many incredible friends and acquaintances who heard of his terminal diagnosis. Bram's greatest treasure was his loving family. He adored them all. Even as the doctor gave him the news, his first concern was for the welfare of his family. Ann, his wonderful and devoted wife of 59 years, children Jane & son-in-law Dean Miskokomon, Neil Gregson & daughter-in-law Kristi Nicholl, and precious grandsons Jarrett and Rocco, along with his British family, brother Edward & sister-in-law Sue Gregson, nephews Mark & Justin, sister Pearl & brother-in-law Edwin Warley, nieces Debbie & Rachel, are all profoundly saddened by Bram's sudden passing. He brought such unimaginable joy and unconditional love to our lives. We will remain eternally grateful to have had those blessed 25 days together with our precious patriach to reminisce, laugh and say goodbye. Many know or remember Bram from his 61 years in the Salvation Army (SA). Born in 1934 in the United Kingdom to Corps Officers (clergy) of the Salvation Army, Bram moved to many different towns and cities. One ‘constant' however was his involvement in the musical fellowship of church life. From a young age, Bram loved music, was self-taught, yet determined to be an excellent musician. Called up to do National Service, Bram, with natural talent, but also with perseverance and a lot of practice, became a member of Her Majesty's Coldstream Guards in 1950, serving as Principal Euphonium. He also used his outstanding ability as a euphonium player in the Tottenham (now Enfield) Citadel Band from 1954 to 1964, becoming Deputy Bandmaster. In 1964, Bram and Ann emigrated to London, Ontario, where he became Bandmaster of the London Citadel SA Band, transforming them within a relatively short space of time into one of the finest SA bands in North America. Retiring after 27 years, Bram founded Intrada Brass in 1995 in Toronto. He also went on to conduct a 10-piece chamber ensemble, Brassroots for 23 years. With these 2 groups, he demonstrated his artistic ability to programme and conduct many styles of music from Classical to Jazz, giving him much pleasure in the process. Bram was set to retire as Music Director of Brassroots in June 2019, on reaching his 85th birthday, but sadly his plan to conduct the last concert of the season in April 2019 was taken away from him by his sudden illness. He did, however, achieve his wish to be conducting until the very end of his life as he had conducted a gig with Brassroots just the afternoon before his admittance to hospital. Also on that day he had completed his daily exercises and a 3 to 5 km walk. Bram was so determined to keep moving, be active and strong, and remain youthful; and he certainly was. He didn’t look his age - indeed most people thought him to be 74 not 84. The weekend before his last gig with the ensemble, Bram was playing baseball to celebrate Rocco's 10th birthday! He missed the ball the first time, fell over, got right back up again and hit that ball. That was Bram, always dedicated to success! While music was his passion, Bram was also widely known for his success as a civil engineer. After graduating from Bede Grammar School in Sunderland, England, he worked at the UK building construction firm Wimpey, then in Canada at Lavalin and McLarens, before venturing out to start up his own consulting firm for Senior Citizens Nonprofit Housing Projects in Ontario. He thoroughly enjoyed his profession and constantly reminisced about the many fine people he met along the way. Bram retired in 1995, allowing him so much more time to devote to music. During his illustrious musical career, Bram toured widely, conducted and produced many recordings, wrote countless articles and newsletters, spent hundreds of hours applying for grants for his musical groups. In addition he was a huge promoter and advocate for the Arts in the London community. He also founded a yearly competition for Young Brass Players, an award he was looking forward to presenting this past month. 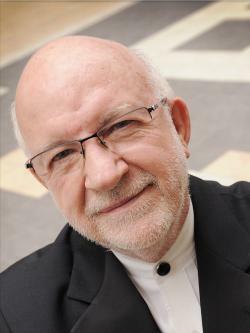 Bram was considered one of the leading brass conductors, trainers, educators and adjudicators in Canada and beyond. He received great recognition and well-deserved accolades throughout his musical career; these included Honorary Membership of the American Bandsmasters Association, and the President's Award from the North American Brass Band Association. His unique and fiery leadership style became legendary and will remain an inspiration to all of those who benefited so greatly from his legacy. Bram was genuine, vibrant, optimistic, inspirational and enthusiastic. He always maintained high standards for himself and expected the same from others. 'Work hard, do your best, over-prepare, be meticulous, tenacious & dependable, keep learning, and try to be grammatically correct’; these were just some of Bram's mantras. As a fan of efficiency and effectiveness, he admitted that he was not always the most patient of men; but he was a man with his heart in the right place. When he believed in you, he always stood by you, even when you blundered. He could always be counted on to care, support, and encourage, and to be your biggest cheerleader. Bram was a man of courage, principal and fairness. He was intolerant of insensitivity. Thus, he was fond of a good rant or debate, especially about politics, sport or service providers! He enjoyed sharing his opinions and felt that if he helped the world to grow in wisdom, he had done his bit in life with confidence and character. With a predisposition for humour and self-effacement, he was a great mimic and raconteur, and savoured a great joke. He possessed an infectious laugh, often laughing until he cried! Crazy about sport, especially cricket and soccer, Bram was a devout Liverpool fan. Indeed, only two days before he passed away, he laid in his hospital bed wearing his Liverpool cap, watching them play on his Ipad and cheering on his favourite team, grateful for modern technology that allowed him this opportunity. More than anything else, however, Bram was a big supporter of his colleagues, his friends and family. He was unfailingly kind-hearted, generous in every sense, and cherished these relationships above all else. Bram felt happy to be loved and blessed, especially in his final days. But for those of us who knew Bram, it is us whose lives were immeasurably enriched by knowing this incredible man. He imprinted our minds, hearts and souls in unimaginably wonderful ways. He will be missed beyond words! If you are able, we hope that you will join us in a Celebration of Bram's Life, to be held at 2 pm on Saturday, January 12th at St. James Westminster Church, 115 Askin Street, London, Ontario N6C 1E7. This fitting and memorable tribute will include beautiful live music that Bram himself selected in his final days. In memory of Bram, and to continue his legacy and infectious love of music, the family would greatly appreciate any memorial donations that you may wish to make, to go to the Kiwanis Music Festival of London Inc. P.O. Box 50008, London ON N6A 6H8 , secretary@kiwanismusicfestivallondon.com. The funds will help to present 'The Bram Gregson Young Brass Player Award' at next years event. 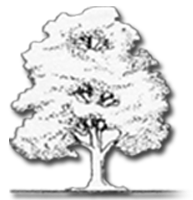 A tree will be planted by the Logan Funeral Home, as a living memorial to Mr. Gregson.